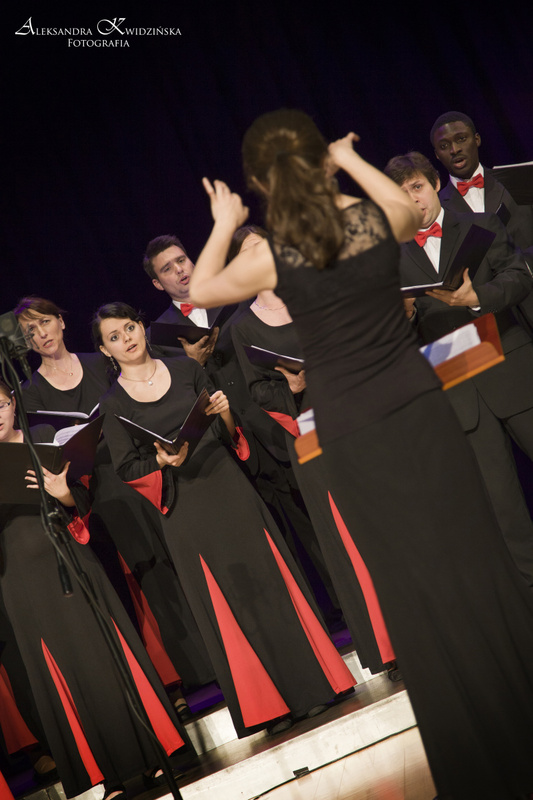 Gaudeamus Brno is a mixed-voice choir which burst into the Czech choral world in 1996. From 1999-2003, it was the official choir of Masaryk University in Brno but is now an independent musical organization. The choir is a fixture in the Brno cultural scene and annually performs concerts and smaller performaces, as well as taking part in choral festivals in the Czech Republic and abroad, and even takes part in benefit concerts. 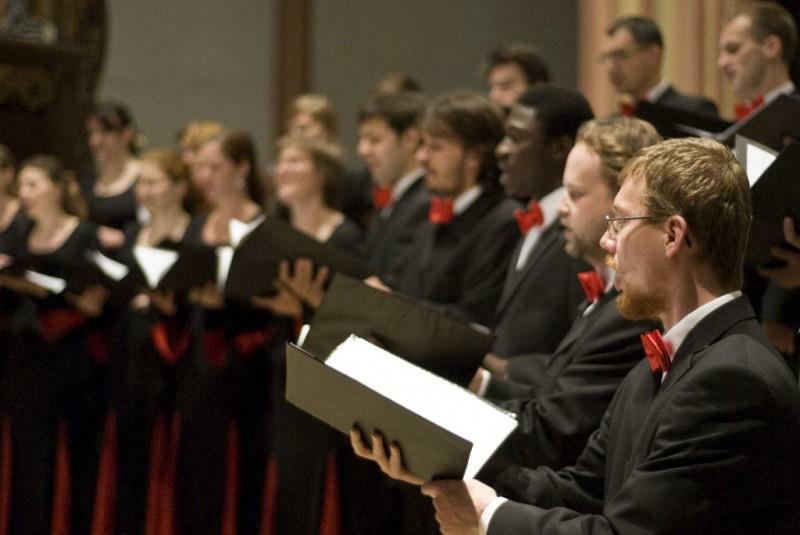 The choir’s repertoire contains choral works by Czech and other international composers and spans the musical time-periods from the Renaissance to Comtemporary. The ages of the members of the choir also span a number of years and includes current students to university graduates and beyond. 17th International Festival of Academic Choirs in Pardubice IFAS (2002) – Winner in the category of Mixed Choirs and Folk Music, 3 special awards (Award for conducting performance for Alexander Vacek, award of the Rector of the University of Pardubice, Award for "Most Congenial Choir") and the festival championship (Grand Prix IFAS 2002). In 2004, Gaudeamus took part in the program “Year of Czech Music.” During this season, the choir joined forces with other choirs and orchestras and performed 3 cantatas by Czech composers. These were the Glagolitic Mass and Our Father by Leoš Janáček, Te Deum by Antonín Dvořák. This practice was continued in 2007 for a concert marking the establishment of the first Czechoslovak Republic. On October 28, Gaudeamus, in partnership with leading soloists from Brno, members of the opera from the National Theater in Brno and the Czech Virtuosi Orchestra, performed Dvořák’s Stabat Mater. In 2005, Gaudeamus was asked by the recording company Naxos to perform the operetta Jabuka by Johann Strauss, Jr. Gaudeamus, along with the Brno Philharmonic Orchestra and the Brno Academic Choir, performed the world premiere of the Ilena Cantata by the Brno composer Vítězslava Kaprálová in 2007. Then, as part of the festival “Theater World” in Brno in 2010, Gaudeamus performed in Hunt for a Pig, a play by Václav Havel, directed by Vladimír Morávek. In 2013, Gaudeamus performed the world premiere of the previously unknown version of the cantata Hospodine! by Leoš Janáček and also participated in the premiere of František Emmert’s cantata Tvé jméno květná dlaň with the Brno Philharmonic Orchestra, soloists, Kantiléna Children’s Choir and members of the Czech Virtuosic Orchestra. In the same year, Gaudeamus performed as a guest choir in the International Festival “Visegrad Notes” in Wejherowo, Poland and also at a folk music concert during the Ethnographic Festival in Milotice. Gaudeamus premiered Cantate Domino by František Emmert at the Festival of International Choral Art Jihlava in 2014. Also, as part of the “Year of Czech Music” in 2014, Gaudeamus performed a concert entitled “Folk Ballads and Nocturnes” with works compiled from the vast works of Leoš Janáček, Vítězslav Novák and Petr Eben. In cooperation with the Czech Virtuosi Orchestra, Gaudeamus performed Mozart’s Requiem in Brno’s Cathedral of Saints Peter and Paul. In May of 2014, Gaudeamus was invited to perform as part of the project “European Opera Days” in Krakow and Nowy Sącz, Poland in the Gala Concert with opera soloists from all across Europe and the choir and orchestra of the Krakow opera under the direction of Tomasz Tokarczyk. In 2015, Gaudeamus choir was performing as invited guest on gala concert at Festival of choir art in Jihlava. As well choir cooperated with conductor Robert Kružík and sang Gabriel Fauré's Requiem. In February 2016 Gaudeamus made concert from songs written by authors currently living and composing in Brno, for example E. Zámečník, F. Emmert, P. Řezníček and P. Sýkora. Beside these authors, even several songs of young authors such as J. Najvar and J. Valušek, were performed in premiere. The Gaudeamus choir invited american choir Juniata College Concert Choir from Pensylvania and they performed at common concert in May 2016. In the last few years, Gaudeamus has been made up of around 35 members (the current number can be found on the page Members). Since its founding, Gaudeamus has recorded a number of CDs and regularly partners with Czech and foreign choirs and orchestras such as the opera chorus of the National Theater in Brno, Bohemiachor, Brno Philharmonic Orchestra, Czech Virtuosi Orchestra, Ensemble Opera Diversa, Brno Academic Choir, the European Johann Strauss Orchestra and the list goes on. Key words appering in text on these pages are replaced with link to given pages or sections automatically.